A teacher who “tapped” her young pupils to correct their behaviour is guilty of serious misconduct and should have her registration cancelled, the Education Council says. 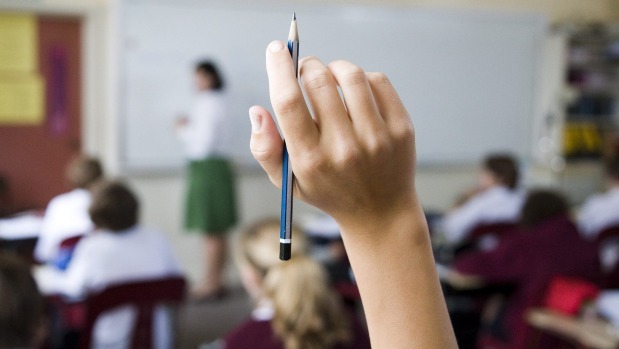 The Hawke’s Bay teacher, who has interim name suppression, was before the Teachers Disciplinary Tribunal in Napier facing allegations that she hit a year 3 pupil and pulled his ear. At the end of the two-day hearing, Seamus Woods, representing the council’s Complaints Assessment Committee, told the tribunal that the evidence heard had borne out the allegations. Using physical force for correction or punishment was “absolutely prohibited by the Education Act” so, if the tribunal agreed that the allegations were proved, the teacher’s registration should be cancelled, he said. The teacher told the tribunal she was “firm but fair”, and had a reputation for being stern, or “old school”. She said she was referred to as “the witch of the school”, and other teachers threatened to send their pupils to her class if they misbehaved. In July 2015 she became frustrated with a boy in her class who was not taking instruction and repeatedly misbehaved. She “tapped” him as he ran through the class, and then “lightly” pulled on his ear lobes. The boy stood up as she held his ear lobes, and “it may look as if I was pulling them”, she said. But “he stood up freely on his own at the same time, while getting up laughing because everyone was laughing”. The teacher, who had previously been warned for physically restraining and using aggressive language with students on at least three occasions, was given a final written warning after incident. The school claimed her behaviour had not improved, and the principal continued to receive complaints. The teacher said she had modified her behaviour after the incident and no longer tapped students. Before the incident she had tapped students on a daily basis. She didn’t use enough force to cause harm, but acknowledged her actions may have appeared like hitting, and the taps did make a sound sometimes. Woods said the evidence heard “should leave no room for doubt that [the teacher] pulled [the pupil’s] ear” and urged the three panel members to pay particular attention to the evidence from an associate teacher who was in the classroom when the alleged ear-pulling occurred. The teacher “accepted in evidence today that she did those physical things using force for corrective purposes, and that is absolutely prohibited by the Education Act … and that admission goes a long way to a finding of serious misconduct”, Woods said. Years of trying to correct her behaviour had not been successful, and cancellation of her registration was “the possible and appropriate approach”, he said. Janette Andrews, acting for the teacher, said the “tapping” was used to get attention and was not to correct behaviour. She said the reality of a primary school environment was that teachers would often apply their hands to pupils to guide them in certain directions, or even to put an arm around them, and she urged the tribunal to “take a practical approach”. The facts did not amount to serious misconduct, she said. Tribunal chairwoman Theodora Baker said a decision would be made within a month.